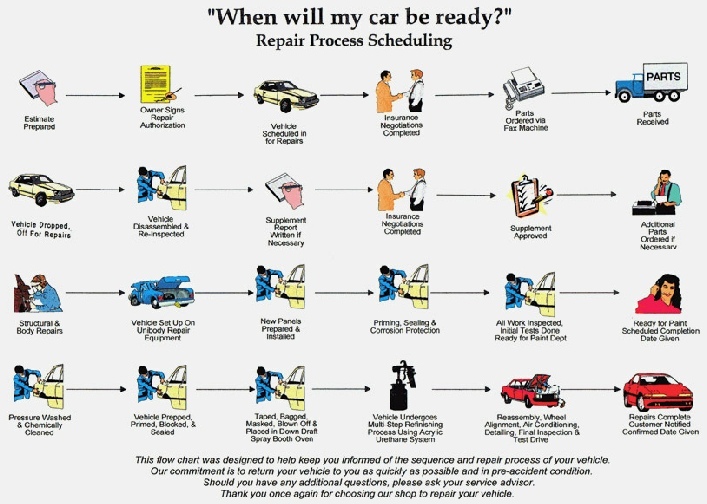 Want to know the status of your car? We contact you throughout the repair process to keep you informed. To enhance that feature of our customer care, we’re in the process of building online and mobile tools that make it easier for you to find your status at any time. In the meantime, check out our repair process below. When you get a call from one of our customer care professionals, this will provide you with an overview of what is taking place.